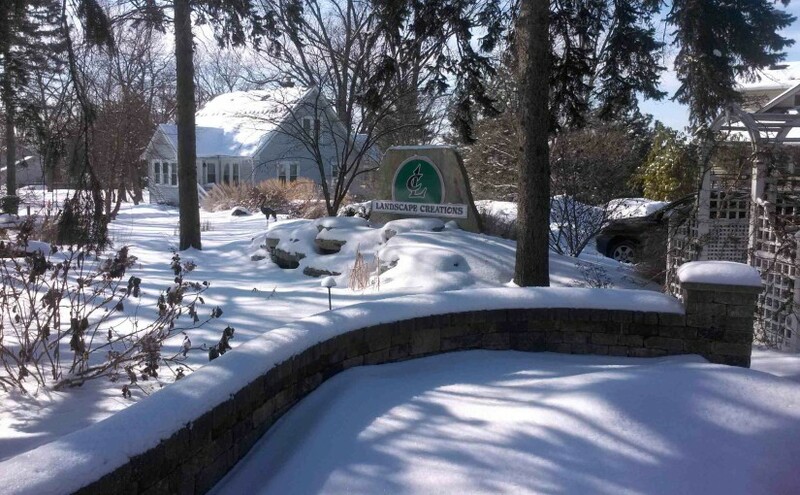 How Will Winter Affect Your Landscaping? After a cold winter in the Chicago suburbs, you might begin to wonder how your landscaping will be affected after months of ice and snow. The impact of the winter can depend on a number of environmental factors, such as site and soil characteristics, and on the types of plants or hardscape involved. When considering your plants, trees or shrubs, keep in mind that the following cold weather issues can occur. Don’t worry though, you’ll find that there are ways to remedy each situation. Almost all plants will experience some level of dieback. Specific species include Japanese maples, Japanese tree lilacs, magnolias, roses and vines. Most of these plants can be pruned or trimmed at the start of growing season. Broadleaf evergreens such as boxwood, rhododendron, holly, azalea and needled evergreens like yews, arborvitae, spruce or pine may show signs of winter burn. Most plants that don’t lose leaves over the winter can experience winter burn. Winter burn takes place as a result of either extremely cold or extremely mild winters, and in both cases is compounded by a lack of snow or rain in combination with strong winds and sun. What will the damage look like? The leaves or needles will turn yellow, then brown and may dry up in response to weather conditions. As a preventative measure, you can spray evergreens with an anti-transpirant in order to help prevent winter burn. Maples, linden, cherry are species that may experience sun scald, which occurs when the bark freezes following high temperatures during the winter. Protect trunks of thin-barked trees (ash, maples, and lindens) from winter sun scald by wrapping trunks with commercial tree wrap or plastic tree guards. Shallow rooted plants like perennials and roses may experience root damage as a result of the cold weather. Root tissues don’t often acclimate to temperatures below freezing and shallow rooted plants may be killed by soil temperature below 15°F. Plants with frozen roots may wilt and die when the rest of your plants begin to grow in the spring. Protect shallow rooted plants during the winter with mulch or leaf litter. Mulch or leaf litter will insulate the soil and help prevent soil temperatures from falling much below freezing. Prune plantings back in spring as needed and deep root feed to promote health and vigor. Almost all plants near driveways and walkways are susceptible. Keep a particular eye on parkway trees, evergreens, shrubs, grasses and perennials. Symptoms will appear in spring or early summer and include browning of evergreens, leaf scorch, branch die back and dead areas. Prune plantings back in spring as needed and deep root feed to promote health and vigor. When considering your hardscapes, here are examples of what you might expect to see, along with tips on how you can prevent or correct these issues. When water or snow seeps into cracks, it can freeze and expand, deepening the openings on your hardscape surfaces. It can also get underneath the rock or hardscape and cause cracks or lifting. Depending on the nature and scope, most of this damage may be repaired by resetting of hardscape features. Not only can salt be a threat to flora and fauna, salt can also damage your soil, stone, concrete and masonry. Schedule a thorough cleaning and sealing when spring arrives. Frozen drainage from gutters, downspout, and draintile may cause damage as a result of excessive freezing and run-off. A simple fix is to install a temporary pipe to serve as a back up above the ground in order to get water away from the house. 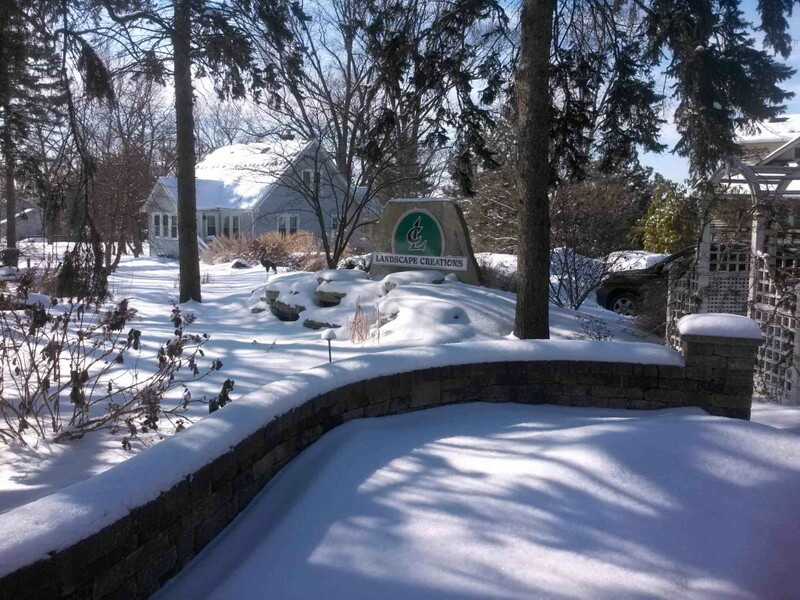 If you are concerned about cold weather damage to your landscaping, contact us at (630) 932-8966 or email us at designs@landscape-creation.com.